their love for Taco Bell. For now and forever. Pop, which specializes in unique pop-up weddings and elopements. wedding capital of the world. provided for the winner and a plus one. 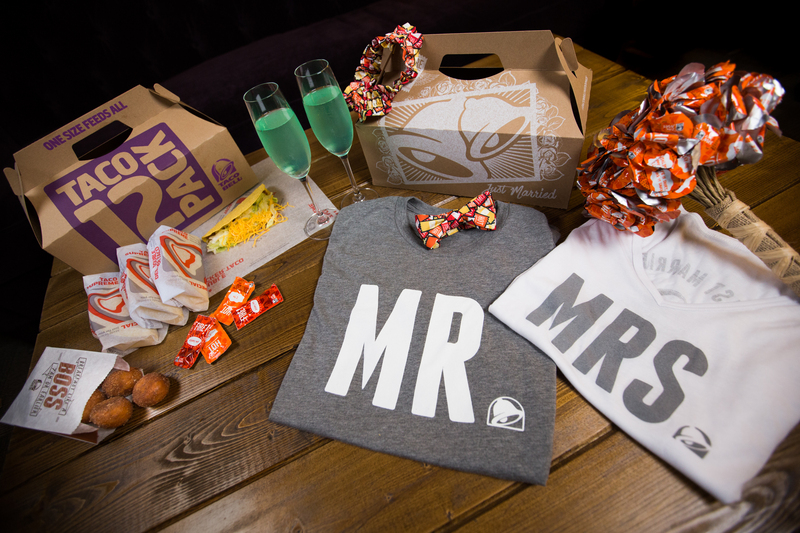 and for more information on how to get married at Taco Bell visit tacobell.com/feed/how-to-get-married. DISTRICT OF COLUMBIA WHO ARE AT LEAST 21 YEARS OLD AT THE TIME OF ENTRY. The Administrator’s computer is the official clock of the Promotion. least twenty-one (21) years of age at the time of entry. are two (2) ways to enter the Contest. may create a Twitter account at no cost at https://twitter.com. administered by, or associated with Twitter. Instagram account at no cost at https://instagram.com. administered by, or associated with Instagram. received may be considered valid and all other entries shall be void. other submitted by that same entrant, as sole determined by Sponsor. including Sponsor’s social media channels. remove entries in their entirety. for his/her favorite entry to receive (1) entry into the Sweepstakes. must also check the box indicating they want to enter the Sweepstakes. Each entry will appear on the website during the Contest Voting Phase. entry for each valid vote submitted. casting the vote. A person may not vote on behalf of another person. the fraudulent votes were received. the next highest judges score will be named a potential winner. notification and verification details, see Section 8.
between April 2017 and June 2017 or Sweepstakes Prize will be forfeited.